Robert FitzPatrick is an expert in examining and revealing deception and fraud in bogus home-based businesses. He is an author, teacher and internationally recognized authority in multi-level marketing schemes and pyramid sales fraud. He is a catalyst and leader in the international effort to end the pervasive fraud in the multi-level marketing business. He is the author of False Profits: Seeking Financial and Spiritual Deliverance in Multi-Level Marketing and Pyramid Schemes (ISBN: 0-9648795-1-4), the first book to critically examine the multilevel marketing industry. He was featured on NBC Dateline, ABC World News, and he was interviewed by correspondent Mike Wallace on CBS 60 Minutes. He has been interviewed live on NBC Today show, Canada’s CBC National News and on several BBC radio news programs aired in the UK. False Profits was a featured resource at the 2003 annual meeting of the Association for Professional and Practical Ethics. The related booklet, Pyramid Nation by Robert FitzPatrick, has been translated to Chinese and used by government regulators in writing China’s first laws on pyramid schemes. His essay, “The 10 Big Lies of Multi-Level Marketing”, has been translated into four languages and posted on numerous websites. His White Paper, “The Amway Industry”, which details the extensive influence-buying of the multi-level marketing industry and in the failure of federal regulators to protect consumers from pyramid marketing fraud, has been read by staff circulated among members of Congress. In June 2005, Robert FitzPatrick was asked by the Central Bank of Sri Lanka to address banking representatives from that country as well as India, Bangladesh, Bhutan, Maldives and Nepal in Sri Lanka’s capital, Colombo. The presentation was later published as part of a consumer education campaign against pyramid schemes. Robert FitzPatrick has conducted seminars for staff of Federal Trade Commission, state Attorney General’s offices, US Postal Inspector and members of the White Collar Crime Center in Richmond. He was a featured speaker at the 2003 annual meeting of the National Association of Consumer Protection Investigators. He has developed informational resources for consumers, journalists, academics and regulators including a multi-media PowerPoint presentation and a statistical analysis of the losses suffered by participants in multi-level marketing schemes. For state regulators, he produced a PowerPoint review of federal prosecutions of multi-level sales schemes that are based upon continuous recruitment of new sales representatives. He also published a widely read booklet on the landmark federal case brought against the Amway Corporation. Robert FitzPatrick founded and serves as president of Pyramid Scheme Alert, the first international association to expose and prevent pyramid scheme fraud. PSA’s website, http://www.pyramidschemealert.org, is visited each month by thousands of consumers, regulators and journalists worldwide. He personally responds to hundreds of consumer and news media inquiries. He has served as consultant and expert witness for Attorney General or State Attorney offices in four states, the US Dept. of Justice, and in numerous cases involving distributor fraud and pyramid schemes. In his books, lectures, websites and publications, Robert FitzPatrick reveals how more than 99% who join pyramid sales schemes lose their money, squander time and resources and, perhaps most sadly, unwittingly recruit their own friends and relatives into the folly. His examination of the structure and tactics of schemes reveals how the line between legitimate sales companies and “business opportunity” recruitment scams is blurring. 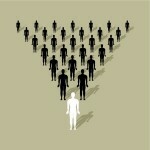 More than 5 million Americans annually are lured into pyramid sales schemes. Consumer losses exceed $10 billion annually, with many people losing life savings or going further into debt based on the scheme’s hype and false claims. Deeply held convictions and values of fairness, trust, equity, and integrity drive Robert FitzPatrick. His expertise is founded upon studies in a Catholic seminary leading to degree and graduate studies in Sociology. His advocacy work began as a community organizer in the neighborhoods of Charlotte North Carolina. He later organized and managed national trade associations that advocated the interests of independent distributors in three industries. For more than a decade, he has provided strategic guidance and executive coaching in the field of manufacturer/distributor relationships where factors of trust, integrity and sensitive communications are critical to the business. His corporate clients include Fujifilm, DuPont, Epson, and many others.